The fee for Reiki I is $100.00, and this includes a manual, additional written material that I provide, follow up availability via email, telephone, and chat for six months at least, and opportunities to join in free Reiki shares in the Florence area. One half of the fee is due upon registration and is nonrefundable, but can be applied toward a future class if cancellation is required. I offer the options of class on a weekday for those who work as well. My goal as a teacher is to share Reiki with my students and be there for them after the class is over if they have questions, need assistance with their Reiki journey, or want to move on to Level II, III or Master level. I offer Reiki II as a one day class for those who have had Reiki I. It can be taken as one day of a I/II weekend, or as a one day class by itself. Class information is provided below. Class fee for Reiki II is $160.00, and I provide lunch and snacks. I also offer an intensive Reiki I and II weekend consisting of two days of class. 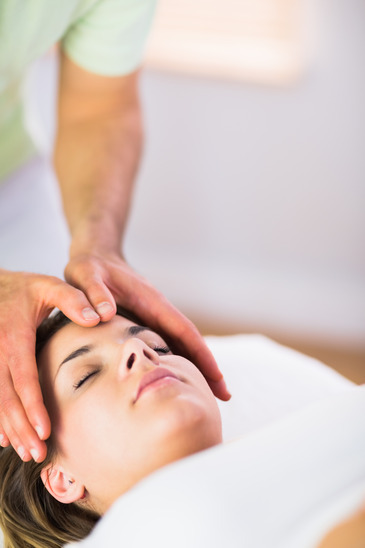 The first day you will complete your Reiki I class and receive your Reiki I certificate as described above, and the second day you will receive your Reiki II class and certification as described below. This combination is perfect for those who are from out of town and can’t come to separate classes due to scheduling conflicts or family obligations. If you are interested in a Reiki I/II two-day intensive weekend the level II class would be taught the day after the scheduled level I class unless you need different arrangements. Reiki II is a continuation of Reiki I with the presentation of more healing techniques and information, and it also includes instruction and attunement with Reiki symbols. Upon completion of the one day 7- hour course students will know how to use the symbols, be attuned to them, instructed in distance Reiki and receive instruction and practice time for treating others. The class will be a combination of instruction and practice, and continuing support after class includes Reiki shares for those who are interested. Students are encouraged to practice the skills they learn in class and either join a local share or contact me for distance Reiki practice after class completion. You will be a Level II practitioner when you complete the weekend. You can take I, II, or both days of this weekend depending on your needs. I also offer Reiki II class separately on a Saturday or Sunday to those who have had Level I. Class fee for the combined Reiki I & II weekend will be $260.00 with $ $75.00 due upon registration, and this includes a manual, additional information I will add, instruction, attunement, certificates, and ongoing support for at least 6 months after the class. The registration fee is nonrefundable but can be applied toward future classes. My goal is to share Reiki information with my students and help them enjoy the benefits it can bring in their lives. I will provide a light lunch for the weekend class both days and can provide you with inexpensive local lodging information if you need accommodations. Please contact me for further information. I offer Advanced Reiki Training (ART) class to those who have completed Level II Reiki class as a one day intensive class or the first day of an ART/Master class intensive. After the ART class completion you will receive an ART certificate and will be ready to take the Master class if you decide you wish to attune and teach others, or to use the knowledge and attunement you receive to practice Reiki at the advanced level if you wish. The one day class includes the following topics and as with all the classes I teach, you may email me for questions or feedback as you travel along your Reiki path. The Usui Master symbol and attunement, and how to use it to give Reiki treatments. You will have time to practice using the new symbol as well. Instructions for and practice of a Reiki meditation that strengthens the mind, expands consciousness and increases the strength of one’s Reiki energy. This meditation can also be used to solve problems and achieve goals. How to create a Reiki grid that can continuously sends healing to many people, events and goals. Reiki Aura Clearing which can allow you to quickly remove negative energy from yourself and others and send it up to be healed. If you wish to take ART/Master class together, I offer them as a weekend of ART on a Saturday and the first day of a Master class the next day. The second day of Master class would either be the next Saturday or when you schedule it according to your needs. I also offer Master class as a two day weekend intensive, so if you need that schedule please let me know. Class meets from 10 to 5 PM unless otherwise specified, and I provide a light lunch and snacks. The fee for ART class is $275.00 with $100.00 due at registration. Please contact me regarding this class or the 2-day ART/Master class combination, or you need more information if you have any questions. To register for class, please use our registration form. The fee for Master class is $300.00 with $100.00 due at registration. All fees or payment arrangements are due by beginning of class date. As with all my classes I offer continuing contact via email after class is completed for feedback, questions, and support. Reiki classes give students the information and attunements needed to embark on their Reiki journey, but my view is that the learning only begins the day of class and continues long after. Therefore I am available to give more information regarding classes and also after class day if students wish to contact me. If the listed dates don’t work for you I am happy to work with you as well. Karuna is a Sanskrit word used in Buddhism, Hinduism, and Zen. It translates to actions that are taken to lessen the suffering of others and can be translated as “compassionate action”. All beings are one, and the more enlightenment a person experiences the more this becomes obvious to him. Karuna Reiki ® was developed by William Rand and other healers at The International Center for Reiki Training as he learned many healing techniques and studied under several Masters. Starting around 1989 Rand began using non-Usui attunements and symbols with success and much input from other healers. In 1993 he and the other healers came up with the Karuna Reiki ® system, which uses the symbols that were most effective, and he named the new system in 1995. Since the energies are higher frequencies than Usui Reiki energies, Karuna Reiki ® Master training is only taught to Reiki Masters with a specific set of instructional techniques, and I can say from my own experience that this is a wise system of instruction. I teach Karuna Reiki ® to those who have been Reiki Masters for at least six months since I am happy to say that it has given me a wonderful tool to aid in healing and relaxation, and I want to share these tools with other energy workers. When I took Karuna Reiki ® training I wasn’t sure what to expect or if it would make a lot of difference in my practice and daily life, but I am happy to say that I have found it helpful to my clients and in my own life in several ways. As part of the Karuna Reiki® Master class (the second level of class and the day when you are attuned as a Karuna Reiki Master), I also include La Ho Chi training and attunement. This is a very powerful energy that is usually taught separately from Karuna Reiki® Master class (and I also teach it separately if you prefer) to those who have Karuna Reiki® Master level training. I didn’t expect the powerful energy that La Ho Chi brings to my Reiki practice, and I consider it to be the perfect choice for intense pain, inflammation, serious illness, and intense energetic and emotional issue relief. It works well alongside Reiki, and I offer it at no extra fee with Karuna Master® Reiki class because I find that this energy is a perfect tool for those who practice at the advanced energy worker level. If you are a Reiki Master already and want La Ho Chi training only, I also offer it as a separate one day class for a fee of $125.00. Copyright © 2016 Alabama Reiki, All Rights Reserved.